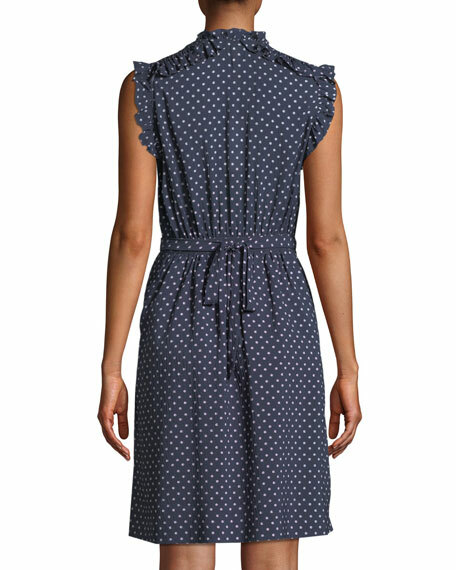 Rebecca Taylor crepe dress in polka-dot pattern. 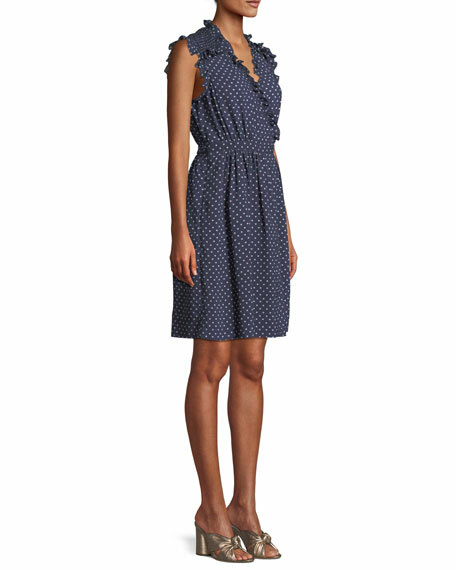 Ruffle trim at shoulders, front, and arm openings. 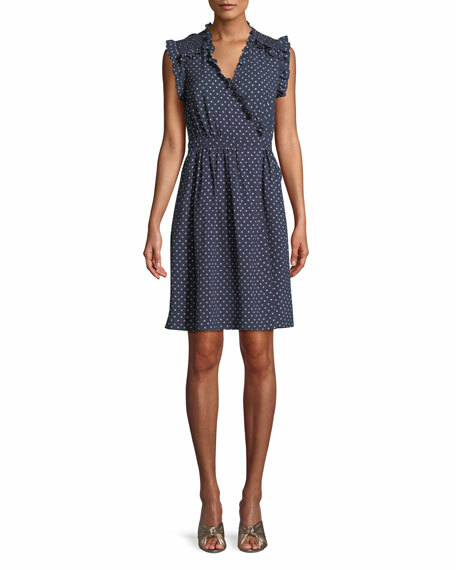 For in-store inquiries, use sku #2622536.